Volunteers are the lifeblood of the Zero Waste McMinnville organization. Without people willing to give their time and energy, the issues that feel so important to us would not get accomplished. During the spring, summer and fall, we have “event season”. 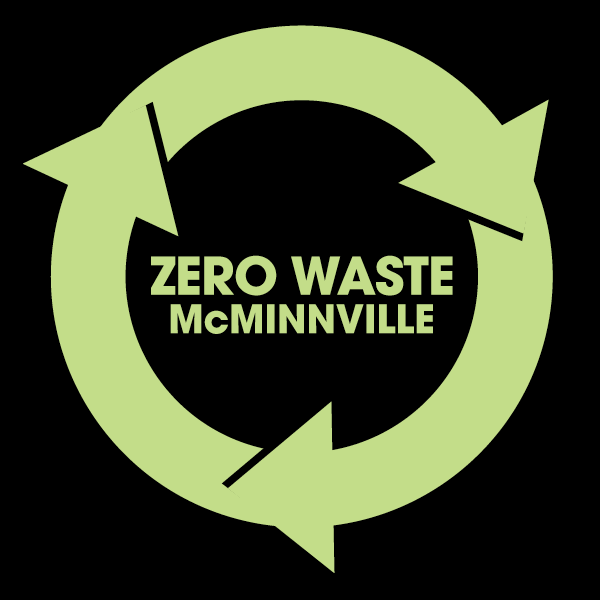 Starting this past weekend with Farm Fest at the Heritage Center, Zero Waste McMinnville will have a presence at just about every event in McMinnville through September! When the organization was formed over five years ago, the concept of reaching out to the public at events like UFO Celebration and Turkeyrama was at first confusing. Who wants to learn about trash when they come to a downtown event for fun? Well, it seems like almost everyone.! We still respect our local curmudgeon’s right to stamp his feet and grumble but we do admit we think he is silly. Whether you understand the causes of global warming or not, there still are many things you can personally do to help the earth be healthy. During the festivals most of our our volunteers help by standing or sitting near the bins and teaching visitors to sort their trash into “recycle”, “compost”, and “landfill”. Since different trash haulers in different cities have different rules, there is plenty of confusion and it is an easy 10-second exchange of info that helps garbage end up in the right bin. Unsure you have the McMinnville system understood well enough to avoid loading bins wrong? Well, a very short training session Monday, May 6 from 5:30-7 at the Carnegie Room of the Mac Library will help! There are other tasks at the festivals as well, and of course, our ongoing committees also need volunteers. If you have 3 hours – or more- to give to the community, please join us for the training! Any questions? Email Patriciafaye Marshall for more information.